When the Financial Times told me to go and smoke pot in Amsterdam, I asked a friend there to recommend a good “coffee shop” (Dutch-English for cannabis cafe). Her reply was very Dutch: “I’ve never been to one.” She chose the Paradox, the one nearest her son’s school, so she could collect him afterwards. Now we’re sitting in what feels like a cosy, cushion-strewn living room, surrounded by well-behaved, well-dressed, quiet 20-somethings from around the world. 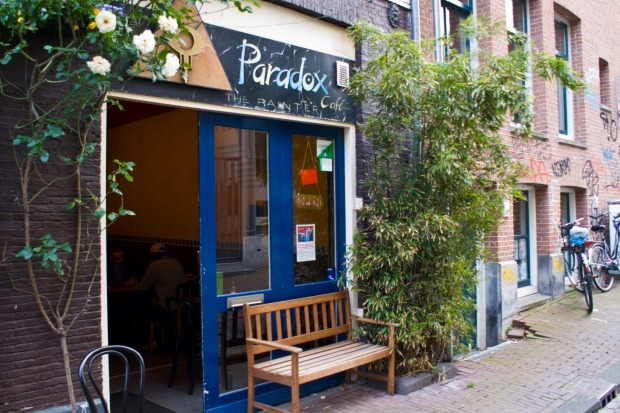 The cafe’s owner, Ludo Bossaert, who opened the Paradox 27 years ago, recommends a €5 ($8) joint of “Pure Special Haze Mix”. According to the shop’s extensive menu, it will provide a “super high”. I become possibly the first person in the Paradox’s history to ask for a receipt. Somebody had to do it, because cannabis is now a major public policy issue. On October 17, Canada became the first large economy to legalise recreational weed(Uruguay blazed the trail in 2013). 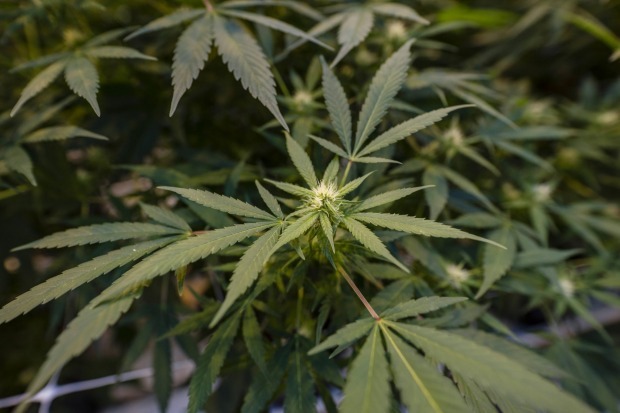 From November 1, doctors can prescribe medical pot on Britain’s National Health Service. Thirty US states have already legalised medical cannabis, while nine allow recreational use and Donald Trump has signalled that he supports decriminalisation at a federal level. 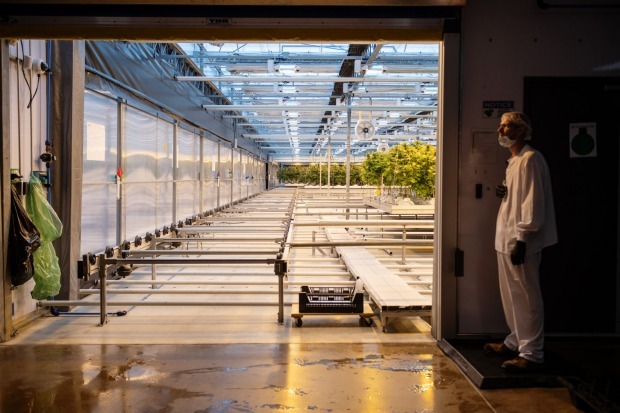 Cannabis could soon become a normal part of daily life across the anglophone world, just like alcohol or coffee, displacing cigarettes, which are becoming socially unacceptable. Judging by nearly 50 years of Dutch decriminalisation, is this a good thing? And can pot treat our pain and ailments? Starting probably in ancient China, humans have smoked the cannabis plant for at least 5000 years, often as a painkiller. Cannabis pollen has been found in a 4200-year-old Dutch grave. Even Queen Victoria was “prescribed medical marijuana by the royal physician as a pain reliever for menstrual cramps,” according to John Hudak in Marijuana: A Short History. Weed first seems to have become controversial in the 1930s in the US, when American nativists (suggestively using the Spanish word) linked “marijuana” with Mexican immigrants. In 1937, soon after abandoning prohibition for alcohol, the US cracked down on weed, Hudak writes. By the late 1950s, the country had, in effect, driven it underground. In 1961, a UN convention ranked cannabis in “schedule one” among the most addictive drugs, dooming it to illegality almost everywhere. In 1970, Nixon set up the Shafer Commission to advise on what action to take. But Shafer’s final verdict was unhelpful: “The commission is of the unanimous opinion that marijuana use is not such a grave problem that individuals who smoke marijuana . . . should be subject to criminal procedures.” This was in a tradition of official US reports (starting with one by New York’s mayor Fiorello La Guardia in 1944) finding that pot wasn’t actually a big deal. Inadvertently, Nixon helped make cannabis cool. Many American teens already knew from personal experience that weed probably wouldn’t destroy your life. Now it became a low-risk mode of rebellion. 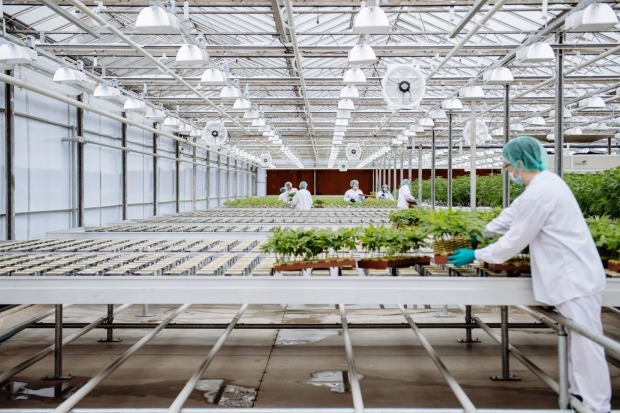 The Dutch state didn’t legalise cannabis, partly for fear of upsetting foreign allies. However, it decided to stop prosecuting pot smokers. The authorities didn’t think that blowen (Dutch-English slang for pot-smoking) was more dangerous than alcohol or coffee, and even if it was, they thought prohibition would simply create business for criminals. It’s a misconception that the Dutch state is pro-pot, or pro-prostitution (legal in the Netherlands). Rather, the Dutch state is pragmatic. It prefers to keep risky activities in the open where they can be regulated (and taxed), whereas other countries push them underground into zones of disorder. I lived in the Netherlands for most of my school years, from 1976 to 1986. Our town had coffee shops, and a couple of my friends were briefly potheads, yet it wasn’t a big teen craze. Pot at my high school wasn’t associated with creativity or rebellion but with hapless dropouts. Cigarettes were considered cooler. We were lectured only about hard drugs. I still remember our class being shown the terrifying German film Christiane F, about an adolescent heroin addict who becomes a prostitute. When the Dutch state published a report in 2009 ranking the most dangerous drugs, these were its top four: 1. Crack. 2. Heroin 3. Tobacco 4. Alcohol. Cannabis ranked 10th. Americans of my generation were raised differently. Nancy Reagan, the US first lady, waged war on hard and soft drugs indiscriminately in the 1980s under the catchphrase “just say no”. Around the world, panic-mongering fuddy-duddies gave pot the allure of forbidden fruit. I realised this as a student in Britain when I organised two football tours to Amsterdam. My teammates didn’t want to explore Amsterdam student life, with its beautiful cafes and romantic possibilities. Instead they spent every night traipsing around the red-light district or sitting in shoddy tourist-trap coffee shops. The pot slowed me down (especially when teammates held my nose closed so I couldn’t exhale), but as an overactive 20-year-old, I didn’t want to slow down. When I sulked, our American goalkeeper lectured me on the thrill of smoking pot legally. On the other hand, he mused, one thrill of American adolescence was “sneaking around” drinking beer and smoking pot in secret. Legalised dope would ruin that, he said. But at the time, legalisation in the US seemed unthinkable. Around then, Bill Clinton became the first president to admit having smoked pot (adding he hadn’t inhaled). His admission simply obliged him to display toughness in prosecuting Nixon’s war, Hudak writes. Vincent: Yeah, it breaks down like this: it’s legal to buy it, it’s legal to own it and, if you’re the proprietor of a hash bar, it’s legal to sell it. It’s legal to carry it, but that doesn’t really matter ’cause – get a load of this, all right? – if you get stopped by the cops in Amsterdam, it’s illegal for them to search you. Jules: [laughing] Oh, man! I’m going, that’s all there is to it. I’m f—ing going. Bossaert: It’s legal, isn’t it? Policeman: It’s not legal at all! Bossaert is allowed to sell five grams per customer a day, on which he pays tax, but not VAT – “because it’s a nonexistent product in Europe”, he says. Supply – the so-called “backdoor” of Dutch coffee shops – is technically illegal. 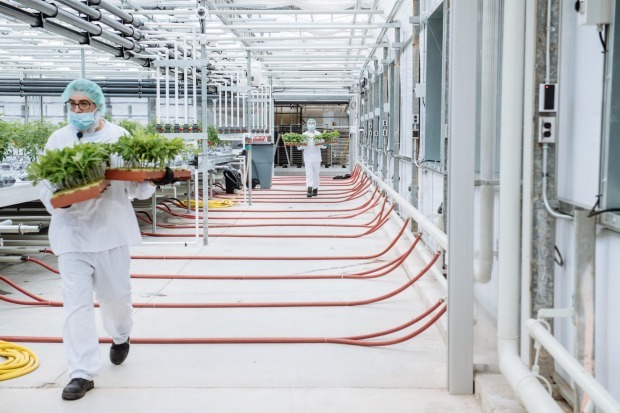 “Since it’s illegal, prices for weed are high, because you pay for risk,” Bossaert says. He buys only in cash, from trusted home-growers. “I prefer smaller quantities that have been grown with love. With bigger shipments, the people are often borderline criminal.” He can legally keep only 500 grams in stock, so vans and bikes carrying supplies arrive throughout the day. The police check up on him regularly. If they find minors in his shop, or hard drugs, or excess stock, they can close him down. In 1995 Amsterdam had 350 coffee shops. About half have since closed, largely in an attempt to discourage low-grade foreign “drug tourism”. So far, Bossaert has benefited from his rivals’ closures. On a weekday afternoon, every table in the Paradox is occupied. Space cakes are deceptive. 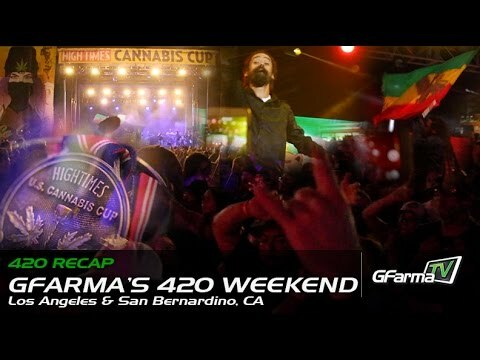 A joint delivers weed to the body fast, whereupon you feel stoned and generally stop smoking (a restraint mechanism absent in tobacco and alcohol). But edible cannabis can take hours to have an effect, so users often accidentally overdose. Amsterdam’s health services, tired of picking Bossaert’s unconscious customers out of the gutter, asked him to stop selling cake. He persisted, but now wraps each slice in printed instructions: “If you have never smoked cannabis before: Eat a quarter slice and wait two hours for effects” etc. I stick to the joints. I don’t inhale enough to get a “super high”, but gradually I learn to inhale twice in quick succession, and an unfamiliar sensation descends. Eventually I identify it: I am feeling relaxed. “Everything becomes softer and rounder,” Bossaert says. “He looks pale,” comments my friend. “His blood sugar is falling,” Bossaert says. The bud-tender brings me mint tea with honey. But I feel happy. Losing my sense of time, I benevolently study my fellow customers, many of them on their screens. All is quiet, until a vehicle honks outside. “Willem, your taxi!” one of the regulars shouts from his corner. Willem is an older man in a wheelchair who earlier had joined in a discussion on US cannabis policy. His “taxi” is actually a public bus for disabled people that has come to collect him. Bossaert ritually wheels him out of Paradox and up the ramp into the bus. It is a peculiarly Amsterdam scene. 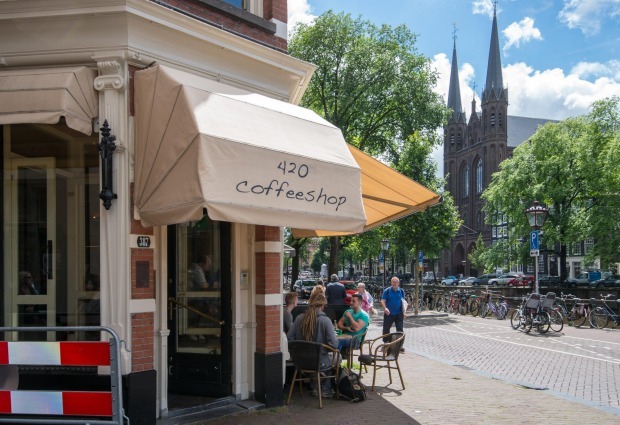 For perhaps 40 years, Amsterdam’s coffee shops were the cutting edge of global cannabis policy. Late 20th-century Netherlands was a laboratory of futurism. I grew up with bicycle lanes; in 1999, the Dutch invented Big Brother, the first major reality-TV show; and in 2001 they pioneered legal gay marriage. But the Netherlands is no longer inventing the future. On cannabis, Dutch 1970s-style “toleration” is being overtaken by legalisation in other countries. Some time this century, the US began to question its war on weed. For all the tens of billions spent on policing, and lives ruined by arrest or prison, most Americans could easily procure pot. 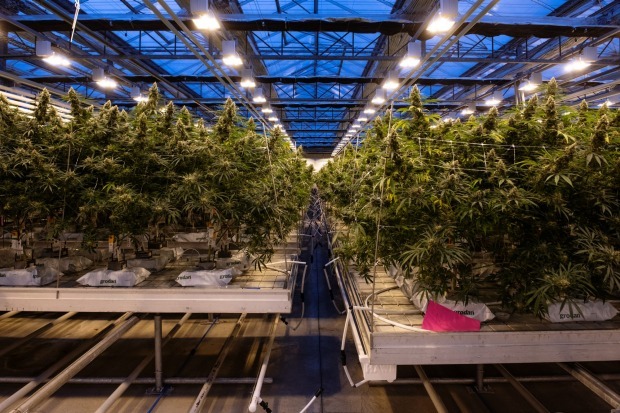 In 2008, a data analysis led by Louisa Degenhardt of the National Drug and Alcohol Research Centre at Australia’s University of NSW found “[lifetime] cannabis use in the US and New Zealand [both 42 per cent] was far higher than in any other country”. The Dutch figure was 20 per cent (higher than for most European countries). One effect of all this smoking was that younger Americans learnt pot wasn’t the devil. Barack Obama was elected president after saying, “When I was a kid, I inhaled. That was the point.” His 1995 memoir Dreams From My Father may even exaggerate how much he smoked. Still, Hudak points out, a teenage arrest for possession – the fate of countless black youths, given racial disparities in policing of cannabis – might have derailed Obama’s career. Billionaire businessmen George Soros and Michael Bloomberg have admitted to pot-smoking. More recently, after Elon Musk tweeted that he was taking Tesla private at $420 a share, the US Securities and Exchange Commission charged him with fraud, saying in its filing: “Musk stated that he rounded the price up to $420 because he had recently learnt about the number’s significance in marijuana culture and thought his girlfriend ‘would find it funny, which admittedly is not a great reason to pick a price’.” “420” is American slang for consuming cannabis. Legalised pot in the anglosphere could hurt Bossaert’s business. But he hopes it will also spark much-needed medical research into cannabis. Scientists never studied the plant much, for fear of a police raid on the laboratory cupboard. For such a common drug, we know remarkably little about it. We are just starting to learn which bit of the plant does what. Now there could be discoveries ahead. Great medical hopes have been attached to cannabis, as a treatment for everything from pain to epilepsy to multiple sclerosis. 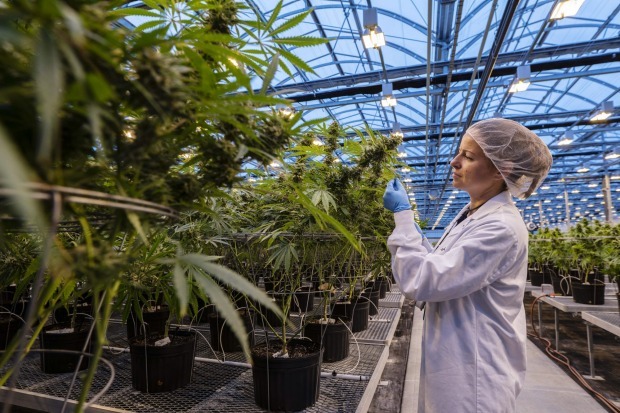 An initial review by Dame Sally Davies, chief medical officer for England, concluded there was evidence of medicinal cannabis having therapeutic benefits. David Nutt, professor of neuro-psychopharmacology at Imperial College London, predicts: “It will turn out to be a really widely used medicine, but it will be different medicines”. He believes the US could have avoided the opioid epidemic if doctors had prescribed cannabis rather than opioids as a painkiller. 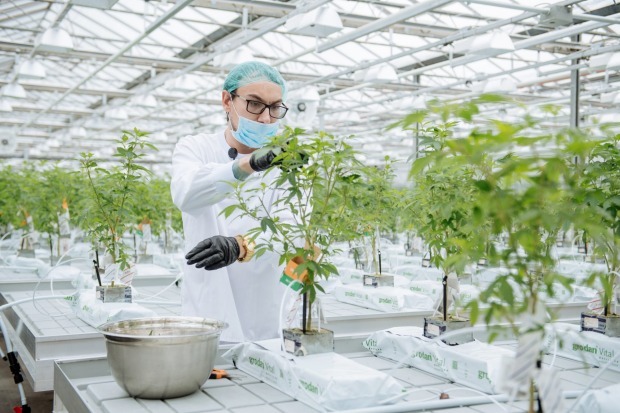 Bossaert is particularly excited about a chemical in cannabis called CBD (cannabidiol). It’s not psychoactive, but it soothes you and helps you sleep, he says. “People give it to their kids, their dog.” Respectable types like his dentist and accountant ask him about it. Coca-Cola said last month it was “closely watching the growth of non-psychoactive CBD as an ingredient in functional wellness beverages”. Cannabidiol may soon be more socially acceptable than sugar. Cannabis can do good. It can also do harm. I watched somebody close to me turn into a paranoid lethargic pothead with a 10-year gap in his CV that hampered him long after he had given up dope. The American Lung Association warns that if smoked, marijuana “clearly damages the human lung, and regular use leads to chronic bronchitis and can cause an immune-compromised person to be more susceptible to lung infections.” Heavy users also have higher risk of developing psychosis. In the US, un-banning seems to have slightly increased the number of daily smokers. This week, Facebook allowed cannabis-related companies to show up in users’ search results. The emerging American cannabis industry, much like Big Tobacco and casinos, has an incentive to encourage heavy users. Perhaps characteristically, the US may be swinging from mass imprisonment to deregulated over-consumption. I understand the risks – and yet I left the Paradox a convert. A drug-savvy friend once advised me: “You’re already hyper, so never take cocaine. What you need is pot.” Wandering Amsterdam’s canal streets in the late afternoon sun, I saw what he meant. Cannabis would fit beautifully into my overscheduled, 40-something, work-and-family life. I don’t have time to spend countercultural afternoons getting stoned on the sofa (unless the FT gives me more of these assignments). I just want the odd joint in the evening to relax (“unwinden”, as Bossaert calls it in Dutch-English). Pot seems a healthier method than wine. Before leaving Amsterdam, I visit a “head shop” to buy a vape pipe (I found the joints too bitter). I don’t risk bringing weed home to France, where it’s illegal; instead I plan to buy from a friend near me in Paris, who partakes regularly. Then, at the big Dutch pharmacy chain Etos, I buy a packet of CBD pills from a big display case of cannabidiol products. “No habituation,” boasts the wrapping. Since then I’ve taken a pill most evenings half an hour before bedtime (though I didn’t bring them on a work trip to Qatar, so as not to risk 10 years’ jail). CBD does relax me, a little. Now I just need to get that pot from my friend, but so far, between work and kids, neither of us can find the time to arrange it.